color shown - "Lake Erie Black"
My name is Ron Luczak. 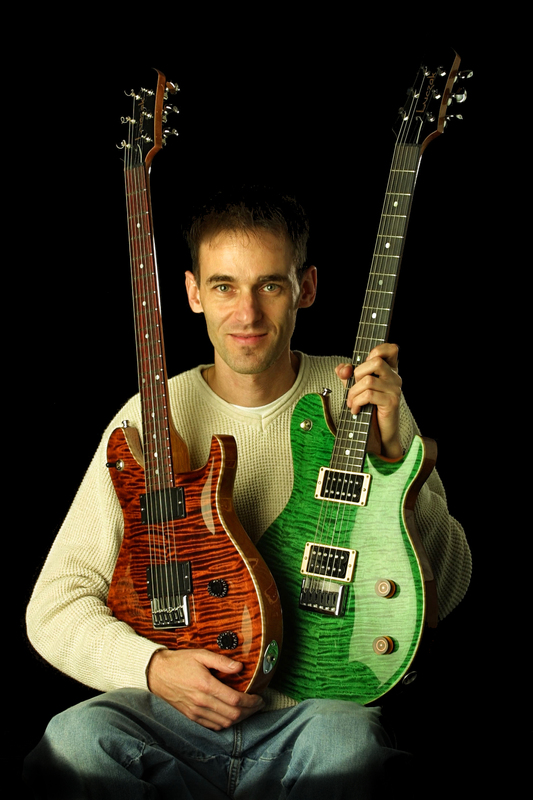 I have been building custom guitars since 1985.
as well as violins, cellos, and upright basses for the area schools. and PRS which was my main inspiration. 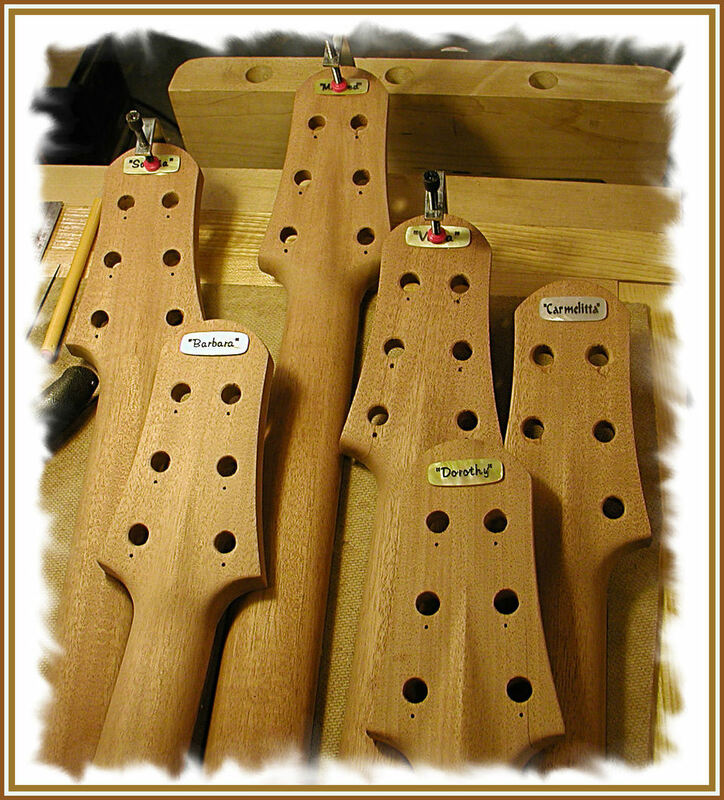 the bodies, necks, and fretboards from scratch. it more or less resembled every guitar that already existed. company in Kalamazoo right here in Michigan in the 1950s' and 1960's . human skill rather than computerized machinery. finished instrument will surpass anything that assembly lines and computers can do. and one-off designs I am commissioned to build. 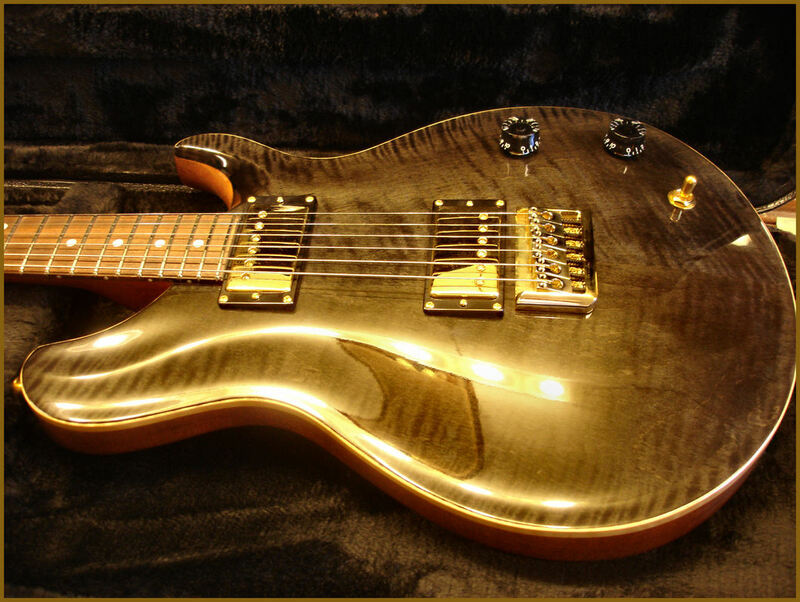 vintage Gibson .....which by the way was also the inspiration for PRS ! I just know I love building guitars and It's my passion. experience that only time can offer. "G" = 24 & 3/4"
"F" = 25 & 1/2 "
"Switch located on upper horn or lower bout with the knobs"
which is inlayed into the guitar. The build date and guitar number is entered into the control cavity. 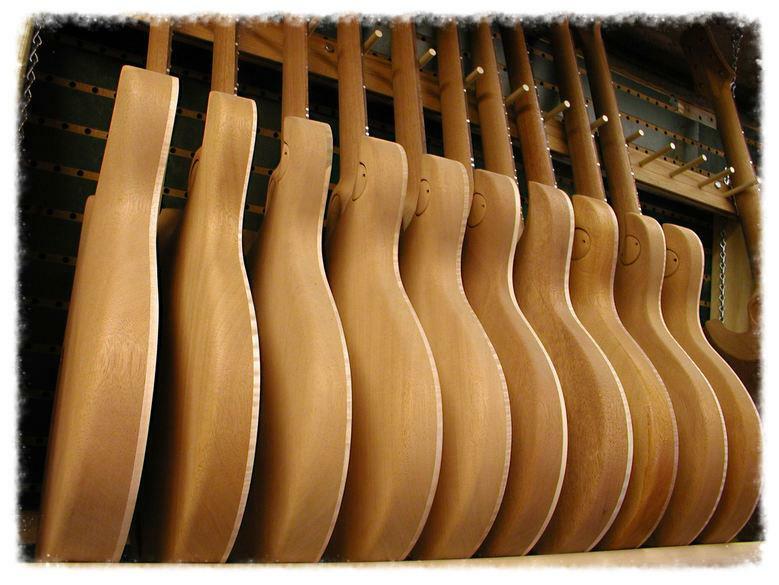 Well seasoned/dried lumber is critical for resonance & tone in any musical instrument. 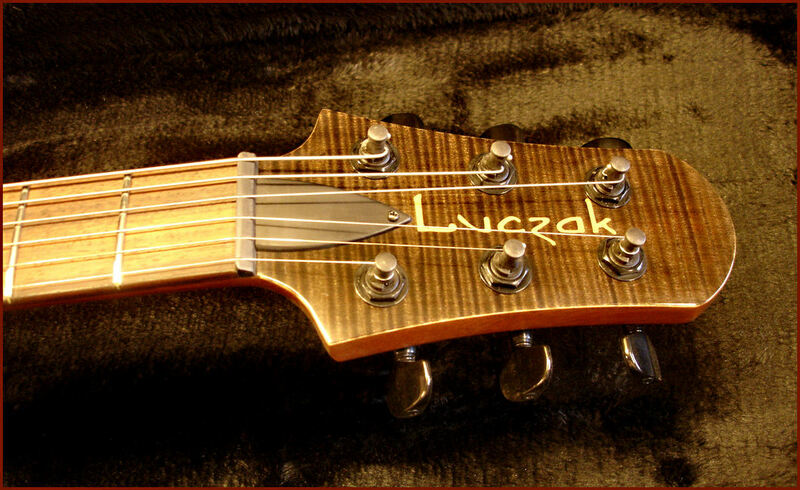 of a guitar to bond together like a single unit so that the vibration of the strings can easily telegraph from the tip of the headstock all the way to the end of the body. Then finish with a thin skin of real nitrocellulose lacquer, just enough to seal the guitar - too much and the resonance starts being hindered. Strumming the guitar unplugged will exhibit a​ lively tone & sustain that will only sound better when plugged in.